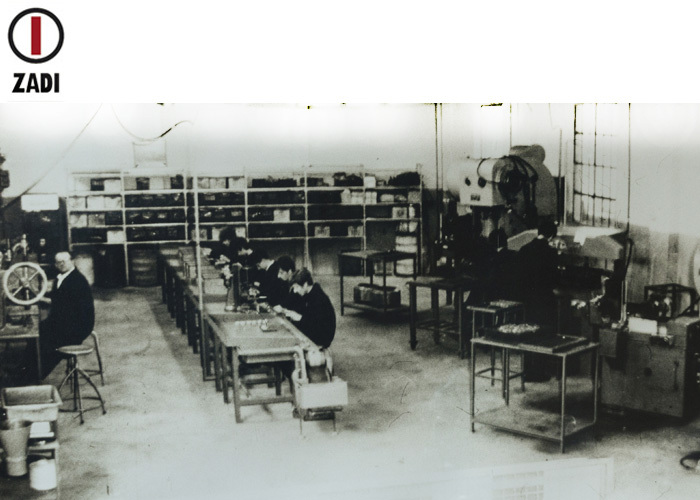 ZADI acronym comes from the names of founder members: Antonio Zavatti and Enrico Diacci, two employees of MAGNETI MARELLI who, left the company, undertook moulds’ planning and production for the same Magneti Marelli. A financial partner, Brenno Conti, replaced Antonio Zavatti, but company’s name didn’t change. One year later since its foundation, the company started the locks production and became the PIAGGIO’s supplier in 1968, an opportunity for ZADI to be a national leader in the locks sector for motorcycles.